Update: Following a 48-hour strike of thousands of London Underground workers last week, the RMT and TSSA unions have suspended further industrial action following management agreeing to withdraw notice of 953 redundancies this year. Thousands of London Underground workers were set to take part in a second 48-hour strike over proposed cuts which include closing every Tube ticket office in London. Members of the RMT and TSSA unions walked out last Tuesday in the first of two 48-hour stoppages and are set to walk out from 9pm tonight to the same time on Thursday 13th February. Under the proposals being put forward by London mayor Boris Johnson and Transport for London (TfL) hundreds of station staff jobs would be lost and supervisors would be moved from stations. TfL claims the plans are needed to save £50 million a year. The London Chamber of Commerce and Industry estimate each strike could cost the London economy £50 million a day. Workers have already been taking action with an overtime ban in place since last month which has led to some station closures. 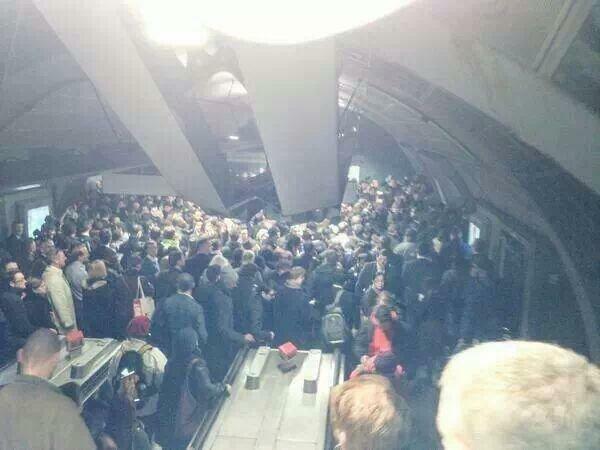 Last Friday union members attempted a 'revenue strike' which should have allowed free travel between certain times. Workers are asking members of the public to support their picket lines and are expecting supporters from groups fighting austerity, such as Disabled People Against the Cuts and Occupy, to attend. All the picket lines featured on the map below started from approximately 4:45am and lasted through till 11pm on Wednesday 5th February and then again from 4:45am till 8:59pm on Thursday 6th February. If you're taking part in the strike or have been down to your local picket line to show your support please let us know about it in the comments below. This is so much better than that thread I started! Well done. That revenue action is awesome, btw. Well this is technically the thread you started but thanks. Yeah it's very cool, I think we've got a discussion from years ago somewhere on here where people were discussing whether it would work or not in London. It won't make any difference for me sadly as I've already paid for a monthly Travelcard which covers the period the action will be taking place. hey, thanks for posting this as I was just about to type up this exact article! I would have thought that the financial loss would be minimal but hopefully combined with the overtime ban it can cause LU management problems. Could people please post updates about their journeys/picket line experiences so we can try to build a picture of how well observed the strike is and how much of an impact it is having? By the way, King's Cross station on the map is in the wrong place, it's currently by Essex Road! Isn't it obvious to take a slice of that £19b worth bonuses in order to support public services and transport networks that are required by these businesses that depend on those people getting to work? Did anyone spot the scab "Travel Ambassadors" shipped in to try and weaken the strike? I saw a few being trained at my local tube station about a week ago. So, I went to Queen's Park tube at probably close to 11. There were pickets signs up, but no one on the line. I do have friend who went down at around 7 this morning, so if I get a report-back from him, I'll post it up. I also see that Boris/the Tories are talking about getting the Underground listed as an essential service to limit strikes. This is pretty ironic given that on one hand they say the strikes are not widely supported by staff, while on the the other hand, trying to have tube strikes banned precisely due to their effectiveness. It's an impressive piece of talking out of both sides of their mouth. Presumably a 'fares strike' would only have any useful practical and propaganda value these days if the automatic barriers and ticket machines were somehow disabled? Thanks Jim - I obviously didn't take time to check that, but not sure how this fits with the comment recited in Steven's post above as these Revenue strike days appear to be different from the full strike days which would make the action radical indeed and result in a possible further full strikes, if that makes sense? Closed stations (as of 8pm this evening).. that said, I notice that Wood Green station is not on the list and I know for definite that it was as I walked past it earlier today.. According to the Guardian most of the Underground wasn't functioning. Most lines were disrupted and running partial services. Apparently only a third of trains ran. I was cycling, and traffic everywhere was absolutely terrible. Worst I've seen it. Lots of people from my work were working from home, and others were in late. Hopefully the workers' resolve won't weaken, because I don't think London can put up with this level of disruption for long. Looks like an average of 3 in 10 trains were running across the network. Bakerloo line more like one in ten and Piccadilly even less.. with the Northern line, do they try to consolidate scabs from across the network there on strike days? Coz I remember from the last time I was in London for a strike that the Northern ran the smoothest.. wouldn't surprise me as Northern has a bunch of important commuter stations like London Bridge on it.. anyone know? Yeah, they may concentrate on Northern as it has London Bridge, King's Cross and Euston. The Evening Standard (not exactly an impartial source I know) said that management were threatening workers with not paying them if the did not carry out instructions. The standard carried a quote from an RMT member saying he couldn't afford to lose more pay after going on strike. His rep had also apparently told him that he had not received assurances that the revenue action was legal. The RMT's website has been talking up the revenue action, but Bob Crow apparently told LBC radio during the strike that a "Paris-style" action in the tube where the gates were left open would not be legal in this country (I didn't hear the interview though, so I may have that wrong). I was on the picket line both days. A high volume of the public were very supportive. Its amazing how empathy and good points of discussion helped to engage the public in a supporting manner. For the rep that was arrested. We will support you 100%. Like the reps who were arrested in Fiji. Through a massive campaign on "labour start" the mounting pressure helped free them. The people power will prevail also in this case. Was that citation for a tube worker or a member of the public who went down to support the line? Y'all are so much cooler than us yanks. I might be completely wrong here but I always had it in my head that drivers were employed to a particular line, so when certain ones ran more trains during a strike it was because less workers on those lines/platforms were unionised/militant. As I said though this might be completely wrong. ah ok, but then there might still be a correlation between certain lines and willingness to strike, ie. the northern line has more scab drivers not that they are consolidated there from other lines. I think something similar has been pulled of in New York a couple times - including that time recently where Occupy tried it, apparently in conjunction with MTA militants. Yeah, I remember hearing about the fare strike in March 2012 in New York. The one in San Francisco in 2005 got pretty famous too. But riders refusing to pay is a little different from drivers giving free rides. I didn't realize MTA workers were involved in New York. I wonder how many it really was - it'd be great if it were an actual work stoppage, like the first time ILWU helped Occupy Oakland shut down that port. I kinda suspect it was more like when we tried to blockade the Port of Long Beach a month after that...a few port truckers were involved, and that made us think it was OK to call it a "strike". Yeah, I had those same sort of thoughts about the Occupy action, Although from what I remember from talking with folks in New York at the time, it wouldn't have been even possible without some involvement of folks on the 'inside'. It's easier to pull off in New York though because you only have to swipe in whereas in London it's once in and once out, so it relies on both stations being a part of the action. But I also agree that if there had been no involvement from MTA workers it probably wouldn't have been possible. BBC reporting just now that TSSA have called off their scheduled action today after supposedly reaching a "deal" on ticket office closures. No news on RMT yet. The RMT has now suspended their action as well. They say that management have withdrawn the notice of 953 redundancies, and won't impose change from above without consultation. My view is that the aims of the unions (and the majority of the members) would be to manage the reduction without any individual suffering detriment. So with no compulsory redundancies or pay cuts after the period of pay protection ends. If they achieve this it would be a significant success. However it would mean management would still get their way ultimately in terms of reducing the number of jobs and closing all the ticket offices. The planned 48-hour Tube strike has been called off after the two rail unions threatening a walk-out suspended their planned action to consider talks on a new deal. London Underground conceded it would not now close all ticket offices, but that some would remain open under its modernisation of the system. The concession – which gives a breathing space for further talks - spares transport chaos for millions of commuters from tonight. However it will be seen by some as a climb down by London Mayor Boris Johnson who had said all tickets offices would close, and a victory for hard-line RMT Boss Bob Crow. 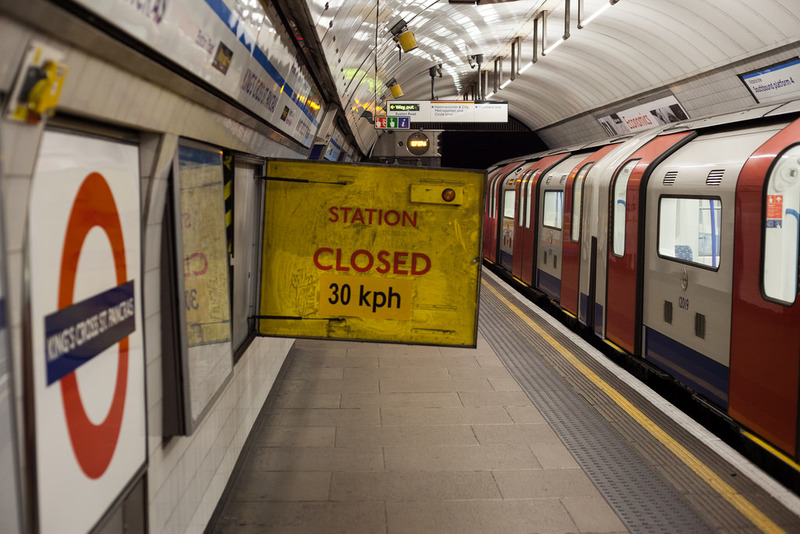 Last week's London Underground strike cost small businesses in the capital £600m - and there could be more on the way. Figures from the Federation of Small Businesses (FSB) show that those of its London members who were affected felt the strike cost them on average £1,297 each. More than half (58 per cent) of small businesses in the city were disrupted, with 59 per cent citing cancelled meetings and 43 per cent citing staff absences as the biggest problems. Well the LUL boss is saying that basically nearly all the jobs will in fact be lost. As to the revenue strike breaking contract of course it does, but then so does a strike.